• 38-28 is just about what everyone expected. We made it close at the end. Which is a blessing and a curse. Good that it showed we have the heart to keep trying, bad that it makes a loss that much more heartbreaking. But while Michigan did EVERYTHING they could to lose this game, and only lost by 10 against a damn good Iowa team is actually somehow encouraging. • Denard Robinson looked similar to his performance against Michigan State. He looked hesitant, he put passes in bad spots, he just simply tried too hard to make plays where plays weren't there to be made. • Denard's arm injury looked minor, probably just a bruise. He didn't receive any medical attention on the sideline. Probably held out as a precaution. Tate had his moments, and was surely excited to be in the game. He was a spark for us, just as Denard was last year against Iowa. But that late INT was just a terrible read...might have been trying to create something that just wasn't there. • Again, another blocked field goal. And then the 37-yard return while Michigan just watched. That was so ugly all around. • Like I said in the preview post, turnovers are killers. And today was a great example of that. One fumble and I think 3 INTs (or 2, Sam Adams doesn't remember either)...we're just not good enough to be able to make mistakes like that and get away with it. • The same goes for bad tackling. All. Day. Long. • The defense looked actually much stronger towards the end of the game. We gave up some seriously bad plays early, but we also had quite a few situations where we had Iowa in 3rd and long. The biggest problem was Iowa made us pay on a few of those 3rd downs. I think it was Courtney Avery who's missed tackle on that 3rd and 9 late in the game that killed any hope of a comeback. That was the play of the game, and we blew it with poor tackling. • Less Obi Ezeh and more Kenny Demens. Please and thank you. • It might not get a ton of press, but the absence of David Molk, who went down early in the game (like the 3rd play) was a huge blow to this offense. We still managed to score 28 points and make it close, but Molk's absence was felt early with some poor shotgun snaps. • Taylor Lewan had the most unenviable job of anyone, and that was going up on Adrian Clayborn all day. He actually did okay. His personal foul early in the game was disappointing, might have been a frustration penalty, but it was still a drive killer. He left the game briefly and Huyge took his spot, but Lewan did return to finish the game at LT. I'm sure there's a lot I'm missing, but you can blame Sam for that. Good night Maize & Blue Nation, rest well, it's a bye week...no one can hurt you this week. Taylor Lewan had the meizitang slimming most unenviable job of anyone, and that was meizitang capsules going up on Adrian Clayborn all day. He actually did okay. His personal foul early in the game was meizitang botanical disappointing, might have been a frustration penalty, but it was still a drive killer. He left the game briefly and Huyge took his spot, butmeizitang botanical slimming Lewan did return to finish the game at LT. I'm sure there's a lot I'm missing, but you can blame Sam for that. 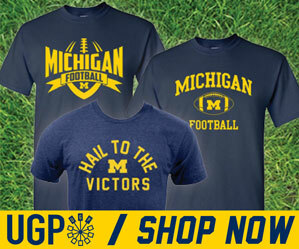 Good meizitang slimming capsules night Maize & Blue Nation, rest well, it's a bye week...no one can hurt you this week.